We bring forth the finest range of PP Cryo Boxes. Molded in Polypropylene, the top of the box is attached to the bottom through well designed built-in hinges. The bottom has built-in spaces to hold vials up to 2 ml. Capacity. 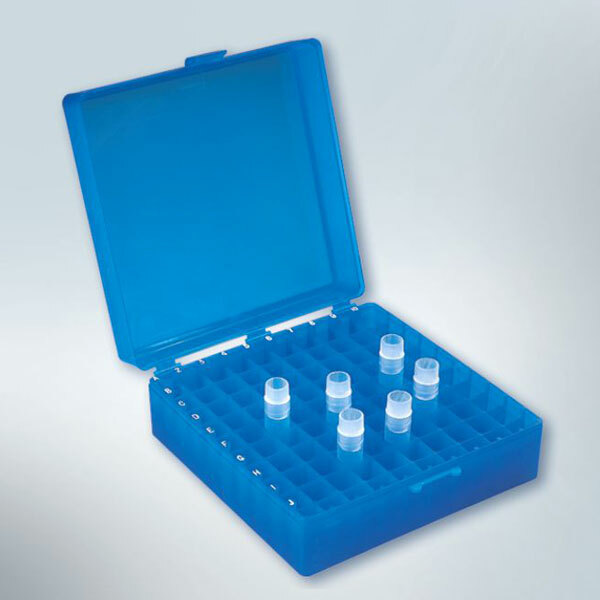 Available in two different sizes, these autoclavable PP Cryo Boxes bear alpha numeric index for easy identification of different vials placed inside.